The 103rd regular meeting was held on Saturday, 21st May. From this fiscal year on, mini-workshop and/or mini-practice reports will be provided in order to catch up on the daily activities of the members. 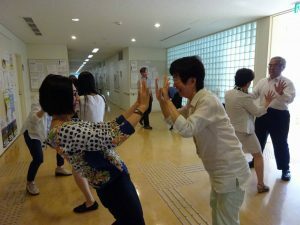 Following the meeting for the summer seminar in August, Kurihara Shigeru (Teikyo Elementary School) introduced the activities he is doing in his physical education class. 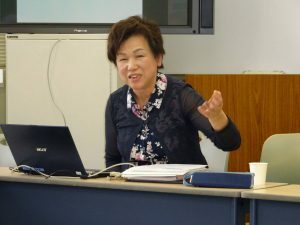 Finally, we gave our impressions of president Watanabe’s paper “What is sovereign education”, which was written in the monthly magazine “World”, in the May issue. This entry was posted in Regular Meetings on 21/05/2016 by staff.